This policy aims to explain clearly, and in plain language some of the fundamental procedures and processes we have employed in order to protect your privacy, manage your personal information, and comply with the Australian Privacy Principles, the Privacy Act 1988, and the Privacy Amendment (Enhancing Privacy Protection) Act 2012 ("Act"). Where information is provided to us about someone else (such as one of your directors or employees or someone with whom you have dealings) you must ensure you are entitled to disclose that information to us and that we may use and disclose such information for the purpose it was disclosed to us. Retravision Online complies with the Spam Act 2003, which deals with restrictions on sending emails. As part of becoming a user of our site and opening an account, we collect personal information about you in order for you to take full advantage of our services. To do this it may be necessary for you to provide additional information to us as detailed below. Registration is completely optional. Registration may include submitting your name, email address, address, telephone numbers, and option on receiving updates and promotional material and other information. information that may assist us to confirm your credit history or financial status when you are considering a credit arrangement or finance, including your bank details, credit card details, loan and credit information where finance arrangements apply and purchase history or transaction details. The information we will require will depend on the specific goods and services that we are providing to you. We will only collect personal information from you that we reasonably require in order to satisfactorily perform the services or supply the goods that you require from us. If you are accessing our products and services via our website, we may use technology to collect information as to your activities, including the IP address of your computer (or other devices), your web browsing history in our websites and transactional data including your payment histories. You may access this information at any time by logging in and going to your account. use personal information that we have collected to identify a product or service that we believe will be beneficial to you. You may request that we do not disclose your personal information to facilitate direct marketing by another organisation and you may request that we provide you with the source of any personal information we use for direct marketing purposes. Any such requests will be actioned within a reasonable time frame, and you will not incur charges for either making such a request, or from us actioning such a request. Retravision Online uses the eWAY Payment Gateway for its online credit card transactions. eWAY processes online credit card transactions for thousands of Australian merchants, providing a safe and secure means of collecting payments via the Internet. All online credit card transactions performed on this site using the eWAY gateway are secured payments. 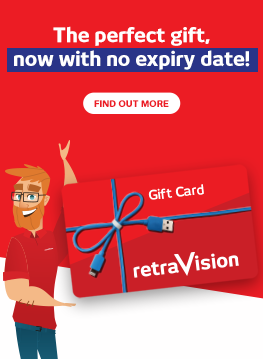 Your complete credit card number cannot be viewed by Retravision Online or any outside party. All transaction data is encrypted for storage within eWAYâ€™s bank-grade data centre, further protecting your credit card data. eWAY is an authorised third party processor. eWAY at no time touches your funds; all monies are directly transferred from your credit card to the merchant account held by Retravision Online. Apart from where you have consented or disclosure is necessary to achieve the purpose for which it was submitted, personal information may be disclosed in special situations where we have reason to believe that doing so is necessary to identify, contact or bring legal action against anyone damaging, injuring, or interfering (intentionally or unintentionally) with our rights or property, users, or anyone else who could be harmed by such activities. Also, we may disclose personal information when we believe in good faith that the law requires disclosure, including for the prevention of fraud and other criminal activities. Retravision Online provides content and services on a range of platforms (including social media networks) with interactive features to which you may contribute. If you post your personal information in publicly accessible places or social media platforms, your personal information will become publicly available (subject to, where applicable, any privacy settings you have in place in social media platforms). Retravision Online will not be responsible for the protection of your personal information you choose to publish this way. If you provide a review or rating for a product available on one or more of our websites, you agree that we may publish part or all of your review or rating together with your first name and suburb. We strive to ensure the security, integrity and privacy of personal information submitted to our sites, and we review and update our security measures in light of current technologies. Unfortunately, no data transmission over the Internet can be guaranteed to be 100% secure. We cannot guarantee that your personal information is totally protected, for example, from misuse or hackers. If you enter personal information on our website, you should exercise due care to safeguard any passwords, ID number, or other special access features associated with your use of our website. This is particularly true for information you send to us via email, as we have no way of protecting that information until it reaches us. Once we receive your personal information, we are required to protect it in accordance with the Act and the Australian Privacy Principals. if we disclose your personal information, it is up-to-date, complete and accurate at the time of disclosure. However, we will not be held responsible for events arising from unauthorised access to your personal information. We will take reasonable steps to destroy or permanently de-identify personal information from our system which is no longer required by us. 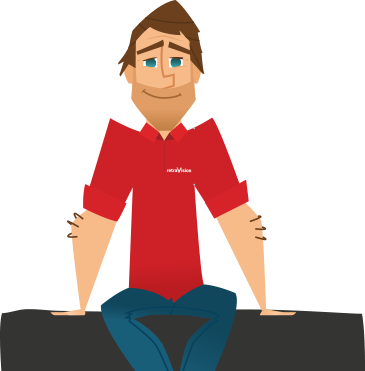 Our web servers gather your IP address to assist with the diagnosis of problems or support issues with our services. This information may be aggregated and used in broader statistical analysis by us and our web monitoring service provider without identifying you as the source of the analysed data. We will surrender a user's IP address if we suspect fraudulent activities. If you reject cookies, you may still use our site, but your ability to use some features on the site will be limited. We will endeavour to take all reasonable steps to keep secure any information which we hold about you, and to keep this information accurate and up to date. You may also contact us by written request to PO Box 4099, Bunbury Western Australia 6230 with confirmation of your identity in order to access or confirm the personal information we are retaining on you. If, at any time, you discover that information held about you is incorrect, you may contact us to have the information corrected. In both these circumstances we will respond to you within a reasonable period after the request is made. If you wish us to correct your personal information and we refuse to do so then we will provide you with a written statement confirming the reasons for the refusal and the procedure to you to complain about the refusal. If you have any complaints in relation to the handling or use of your personal information, we ask that you please contact us. If your complaint is not satisfactorily managed, you have the right to take your complaint to the Information Commissioner. More information about the Information Commissioner can be found here: http://www.oaic.gov.au/privacy-portal/complaints_privacy.html. We will cooperate with any lawful and reasonable requests made by the Information Commissioner.